This Marc Ecko Rhino watch is one of the coolest gifts that I got at Christmas. It has a cross-hatched motif that reminds me of the diamond plate that you might see on the tool box of a workman's truck. It also features the rhino in cross-hairs logo to bring attention to the plight of one of the world's most endangered species. 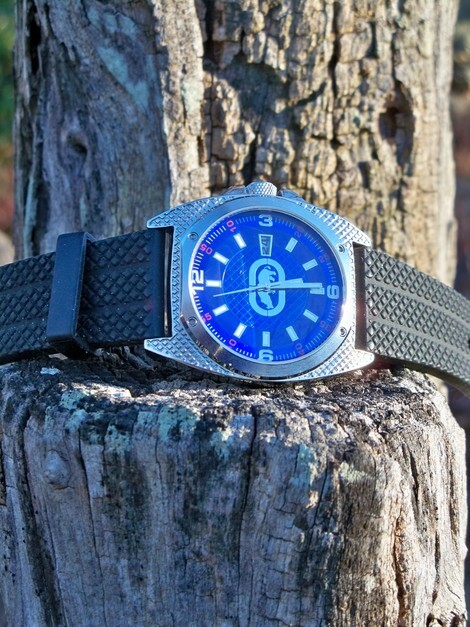 It's a rugged looking watch at a reasonable sub-$100 price.